The UBC School of Music is excited to announce the inaugural UBC Chamber Orchestra Festival, scheduled for July 3–8, 2018. The Festival is an exciting opportunity for musicians who are participating in the Vancouver Symphony Orchestral Institute at Whistler (VSOIW) to continue their orchestral experience in Vancouver on UBC's stunning campus. The VSOIW will culminate in a performance at the Chan Centre on July 3. For the five days following, participants in the Chamber Orchestra Festival will comprise an elite ensemble, performing masterworks of the chamber orchestra repertoire. 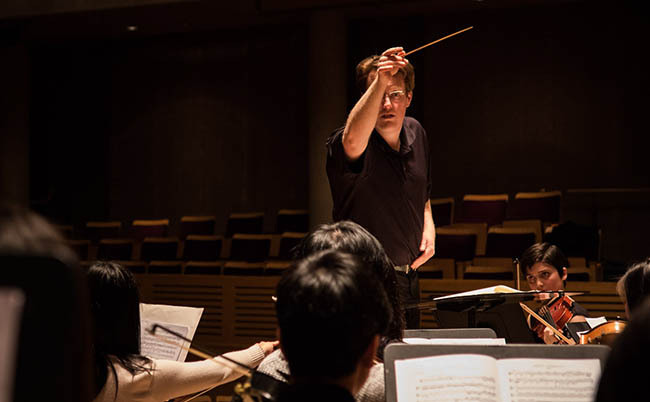 Selected conducting fellows will work with the orchestra and Maestro Jonathan Girard in a rich collaboration. Students who have been selected as ranked winners in the VSOIW concerto competition will also have an opportunity to perform movements of their concerto with selected conducting fellows. Apply online or visit the festival page for more information.